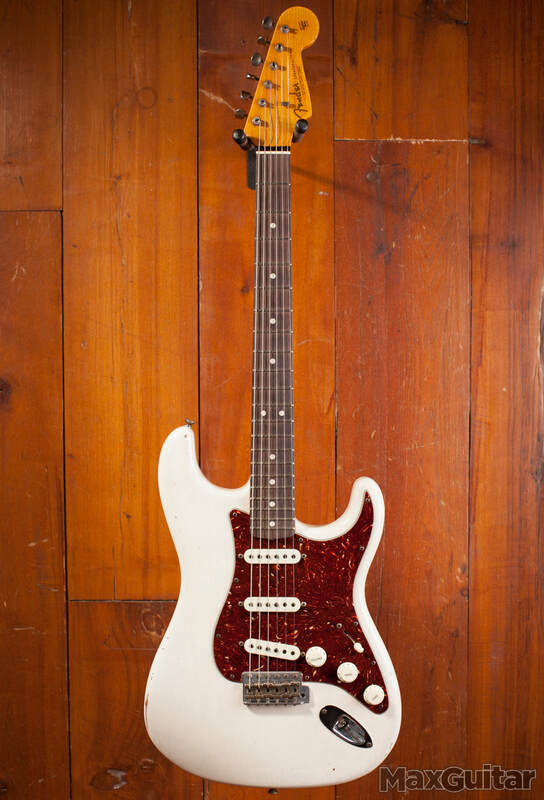 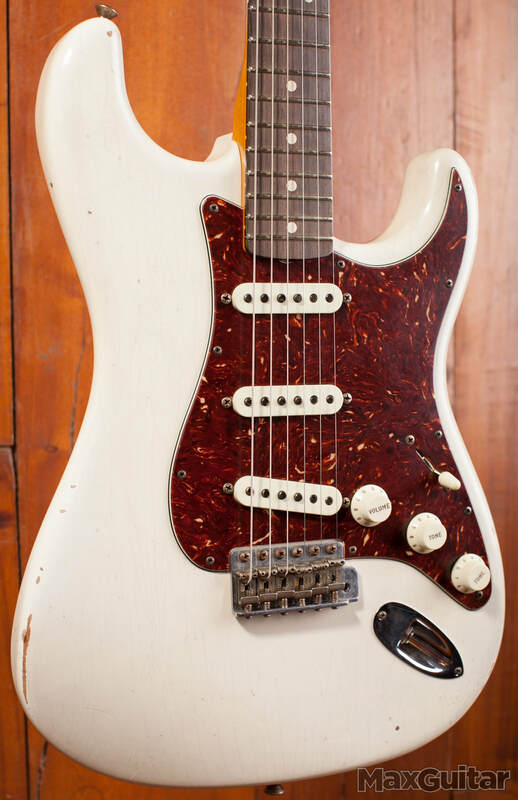 Craftsmanship, imagination and a love of luthiery are at the heart of the Yuriy Shishkov Builder Select 1963 Stratocaster. Inspired by a white ’63 Stratocaster with a contrasting tortoiseshell pickguard, this Strat is instilled with Shishkov’s own personality and imagination yet still maintains elemental Fender tone, style and feel. 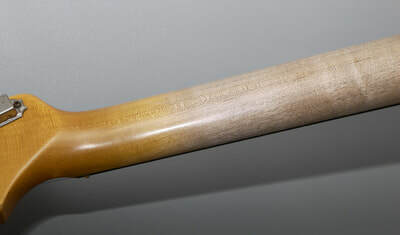 This inspired example of Shishkov’s luthiery reflects an instrument that has been played with loving respect versus careless abandon. 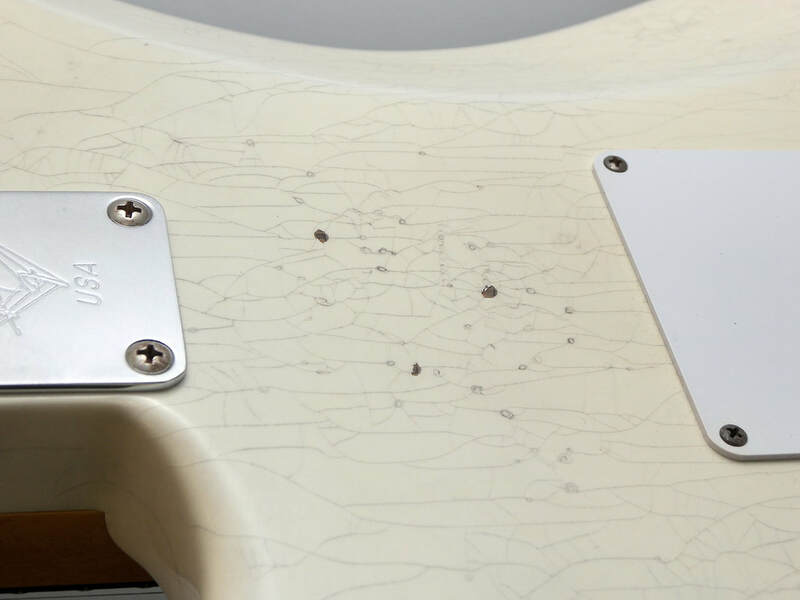 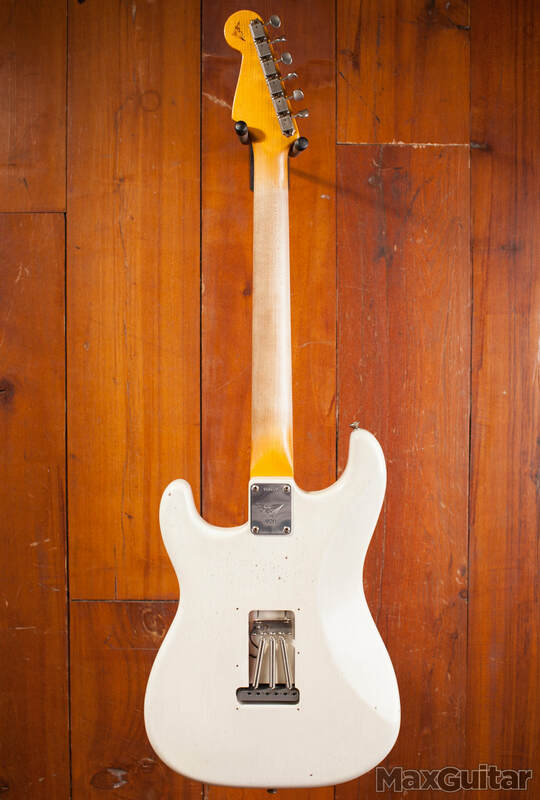 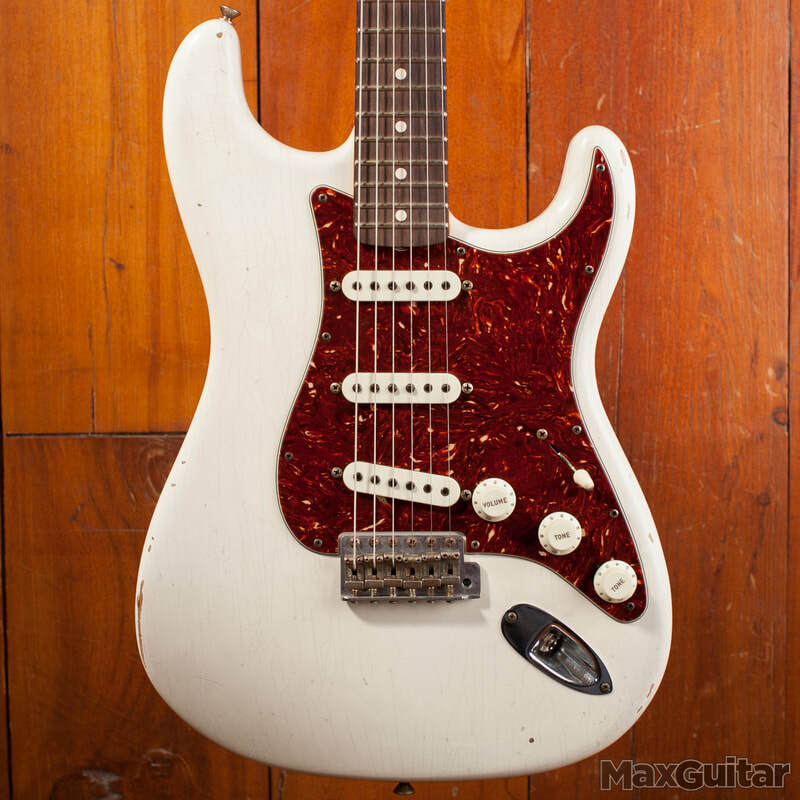 The Aged Arctic White Journeyman Relic finish shows the marks of countless gigs over the years. 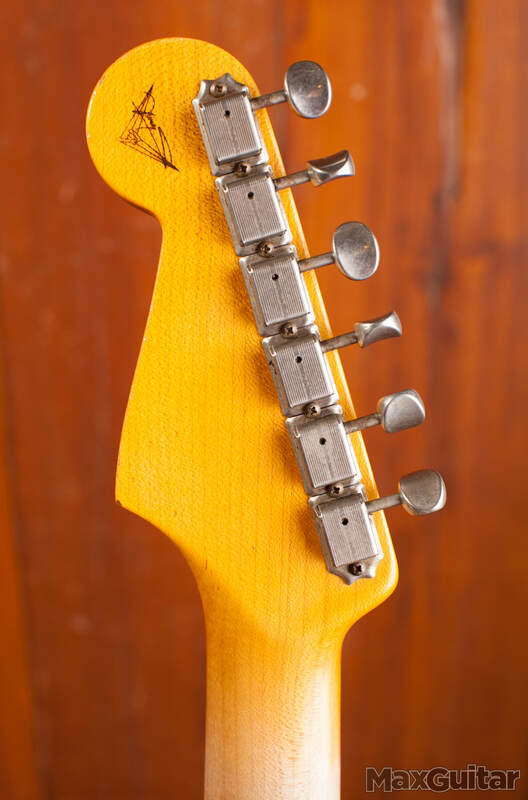 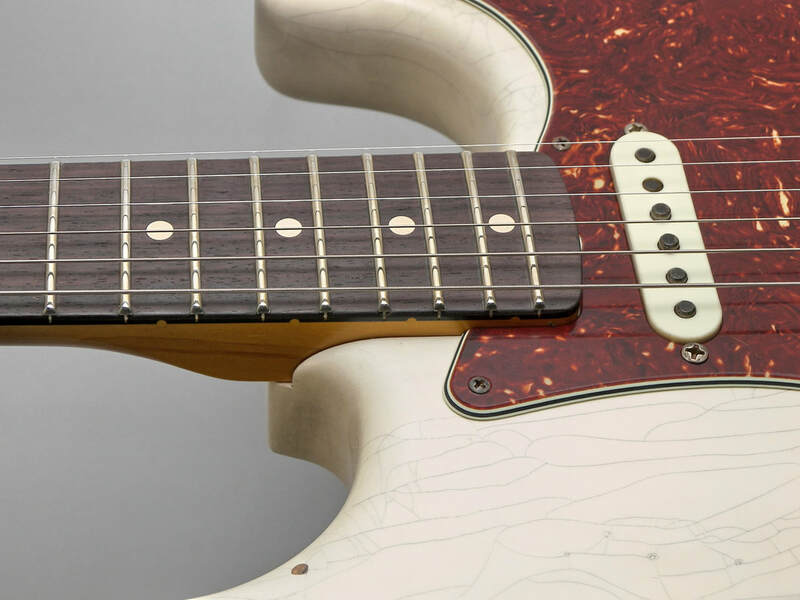 The quartersawn ’60s “C”-shaped maple neck reflects a master’s touch—a smooth, silky finish on the front and lack of finish on the back, where the player’s hands would caress the neck. “The neck is the part handled the most,“ Shishkov said, “so it had to be comfortable and reflect a well-loved instrument.” Using authentic ’60s-era construction techniques, Shishkov created an eminently playable 9.5”-radius round-lam rosewood fingerboard with 21 jumbo frets to top off this exceptional neck. 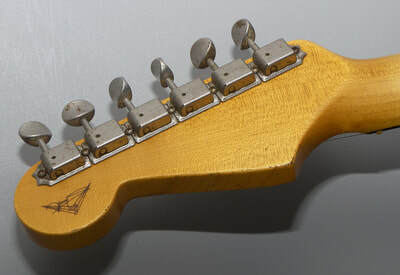 The Custom Shop Hand-Wound ’60s Strat Single-Coil pickups include a reverse-wound, reverse polarity middle pickup for hum-free playing while accurately recreating classic Fender tone and dynamic response. 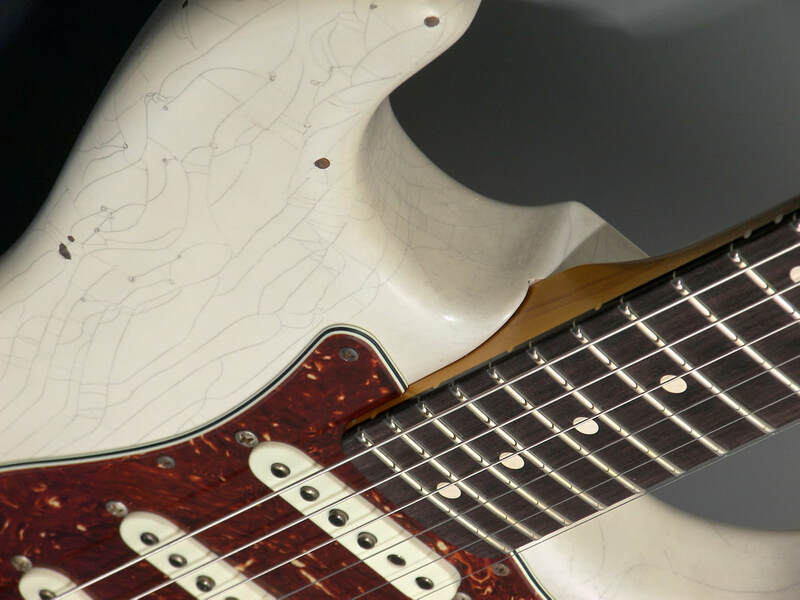 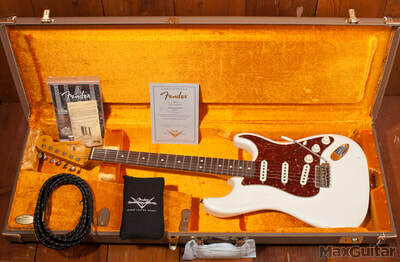 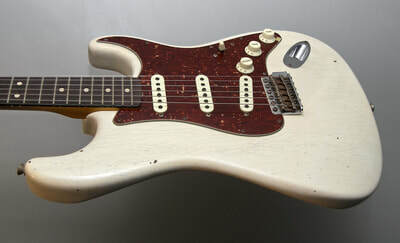 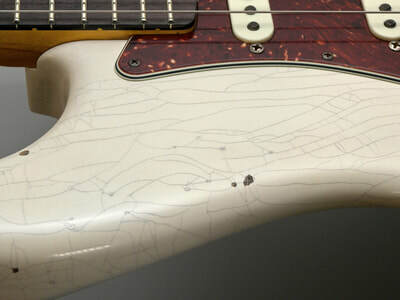 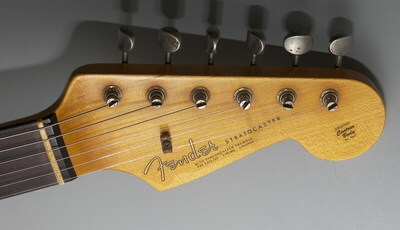 In a personal touch, Shishkov included a modern five-way pickup switch along with Vintage Modified Stratocaster wiring. 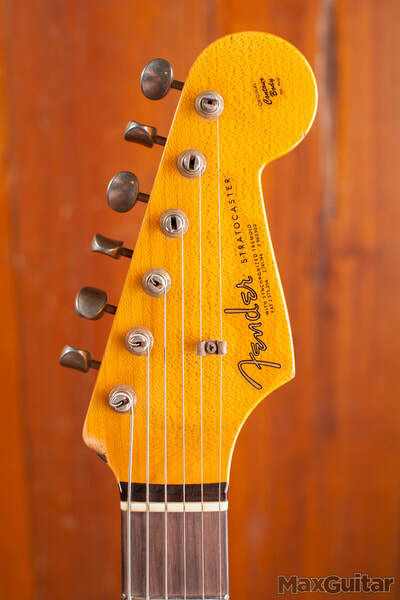 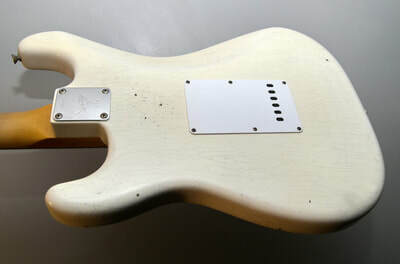 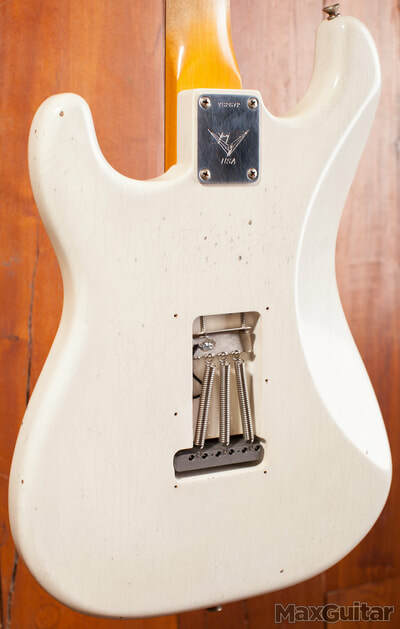 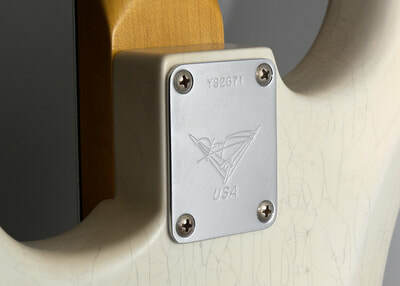 The traditional master volume and neck pickup tone controls are left unmodified, while the second tone control affects the middle and bridge pickups. 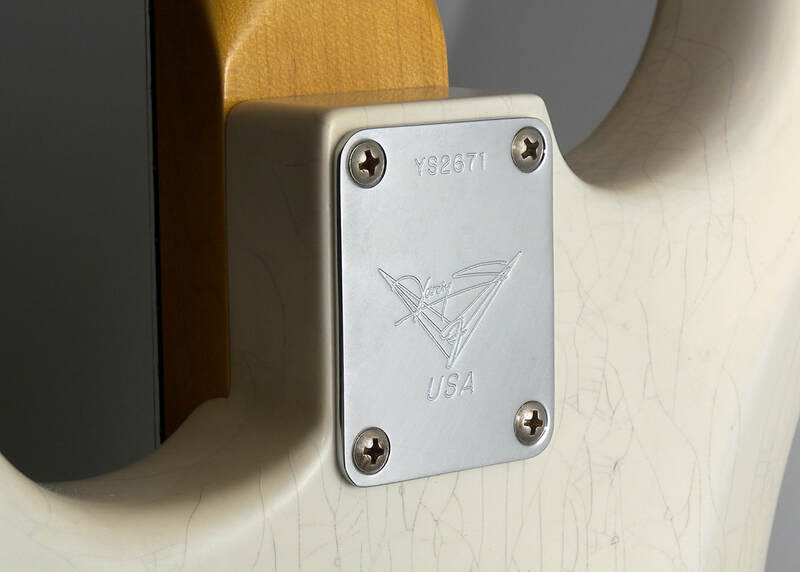 Period-accurate touches include a responsive six-saddle American Vintage synchronized tremolo, nickel/chrome hardware and nitrocellulose lacquer finish—allowing the guitar’s body to breathe with extra resonance and a more natural sound. Riffing on a classic—while staying true to Fender’s roots—the Yuriy Shishkov Builder Select 1963 Stratocaster springs from the master’s mind to your waiting hands.